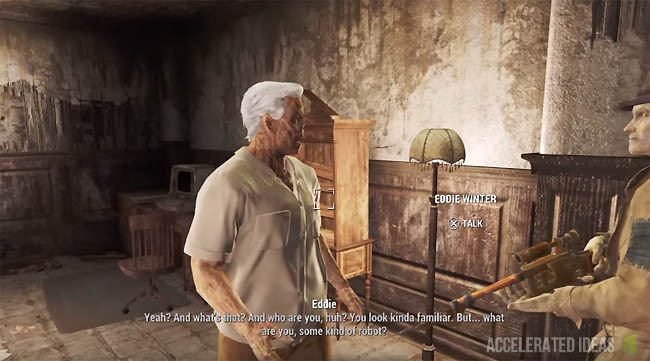 Eddie's Peace is a .44 revolver that deals extra limb damage in combat. 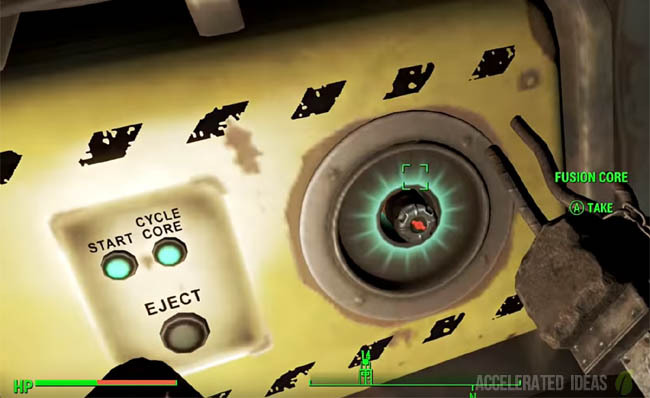 Players can earn this powerful unique weapon through one of Fallout 4's side quests called "Long Time Coming". In this tutorial I'll walk you through the steps needed to unlock the side quest and claim this weapon for yourself. 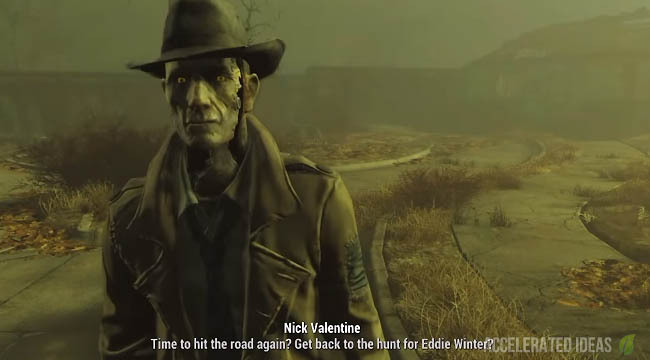 There's a good chance that you've already encountered Nick Valentine in Fallout 4; he becomes available after the fourth main quest: "Unlikely Valentine". The third main quest introduces us to the Valentine Detective agency in Diamond City, this location plays a crucial role in unlocking several of the Detective Case Files side quests. This Side Quest is unlocked by talking to Ellie, the assistant in the detective agency. She mentions several unsolved case files. 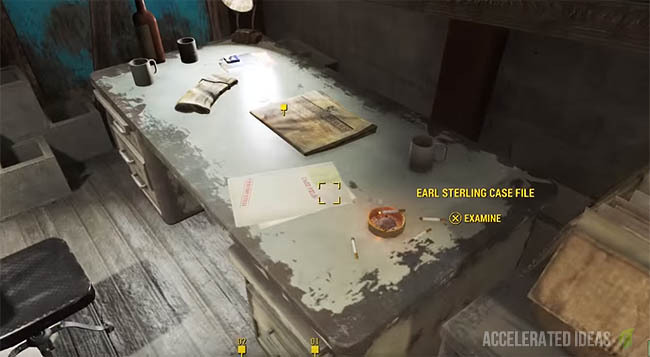 Following this trigger you can pick up Earl Sterling's case files (from the desk) to start The Disappearing Act quest. The Grasshopper quest follows a similar pattern to the one above; you need to have talked to Ellie and then picked up Marty Bullfinch's Holotape. Completing this quest rewards you with another great weapon called Shem Drowne's Sword. The third Detective quest called "Long Time Coming" is the one we're interested in. It's the only way to get Eddie's Peace. Complete main quest: Unlikely Valentine (4th). Complete main quest: Dangerous Minds (7th). Complete side quest: The Disappearing Act. Complete side quest: The Gilded Grasshopper. Gain Nick as a companion. Reach Admiration level of Affinity with Nick. Nick talks about memory flashbacks of "Old Nick". The quest starts as soon as Nick talks about recovering 10 Holotapes belonging to Eddie Winter. A notification should appear saying "Valentine loved that" if one of your actions was liked. Try to avoid non-hostile murder and stealing, since these activities will negatively impact your companionship with Nick. Long Time Coming is a fairly simple find and fetch quest where players have to find 10 Holotapes and retrieve them. 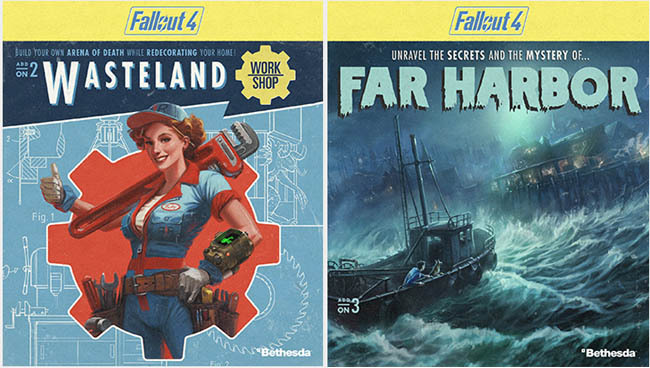 Accept the first Holotape from Nick then read the Eddie Winter case notes to reveal the Holotape locations on the world map. Once you've acquired all of the Holotapes, hand them over to Nick who deciphers them to find Eddie Winters bunker. It's located near Andrew Station, deep underground in the sewers. Follow the subway tunnels under Andrew Station then through to the sewers. Fight your way through Raiders under you reach a locked metal door. Use the code that Nick mentioned to get through the metal door which leads straight to Eddie. Finally, finish off Eddie Winter in a tense firefight and claim Eddie's Peace from his dead corpse! !